Can you believe it's the end of October? I can't. The sudden chill in the air and the onslaught of fall decorations reminds me of the limited amount of time left before Christmas. Limited time you ask? You see, this year I am tackling my goal of a handmade Christmas. Each person on my list will receive something specially made for them. Want to join me? 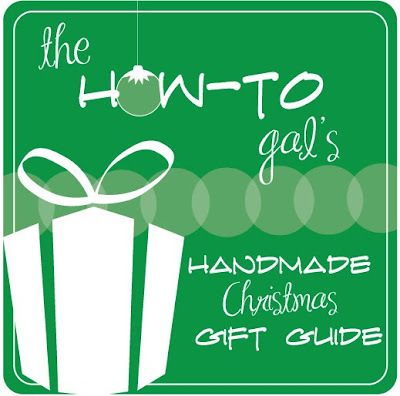 Over the next few weeks I will post comprehensive DIY gift lists for everyone you could possibly need to make a gift for. The lists will be updated continually through the second week in December. Grab a button on the side bar and let's get started! These suggestions could be given to any woman in your life! 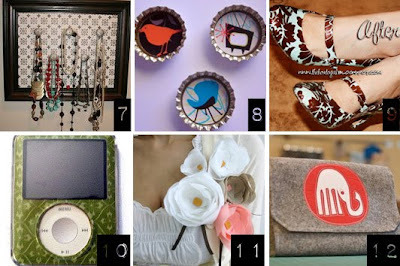 Do you have ideas for DIY sister gifts this holiday season? Link up! Oh my heck - thanks from the bottom of my heart for doing this gift guide!!!! My family of 7 has been unemployed since March (we since decided to send my husband back to school full-time because of dismal job prospects). Christmas is going to be extremely tight this year and I have been racking my brain trying to figure out how to still make it special for our kids. I'll be posting your button on Facebook and my blog. Anna Rose, this is a fantastic idea! You are so creative with all your projects! How do you do this cool stuff with a little one? Can I make a suggestion? (this coming from someone that doesn't know very much about links) It would be nice if the links you have opened in a new window so that when I start checking out the other sites yours is always waiting for me in the original window! Michelle, what a great idea! I don't know why I didn't do this in the first place! All links are now edited to open in a new window. Thanks! I love this idea and can't wait to read more! I love these ideas! I did a completely handmade Christmas last year and I loved it! I loved making things and that everyone knew the love that was put into their gift! Definitely going to put some of these things on my list for this year! My goal this year is to make everyones gifts too! I'm glad I'm not the only one. Goodluck. Great ideas!! And I love your desk re-do. It is sooo pretty. Love the drawer pulls you chose. Hey! 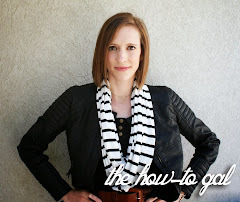 Just found this post (and your lovely blog) searching through referrals to my blog. 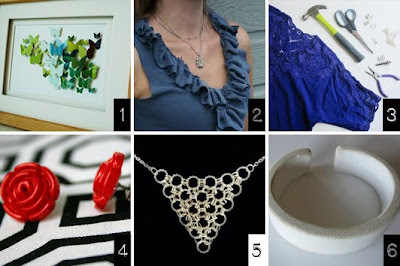 Thanks so much for including my necklace tutorial!